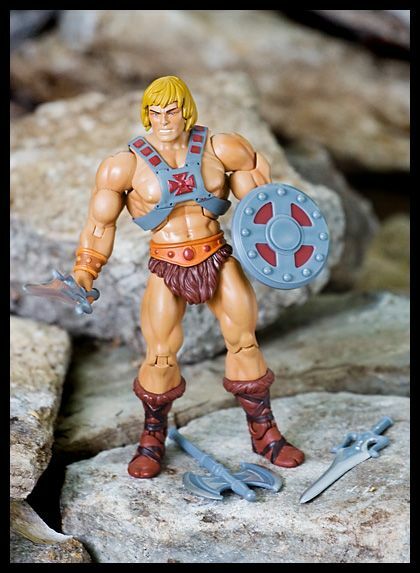 A direct descendant of the legendary King Grayskull, Prince Adam of Eternia was chosen to protect his ancestor's Power Sword from evil. 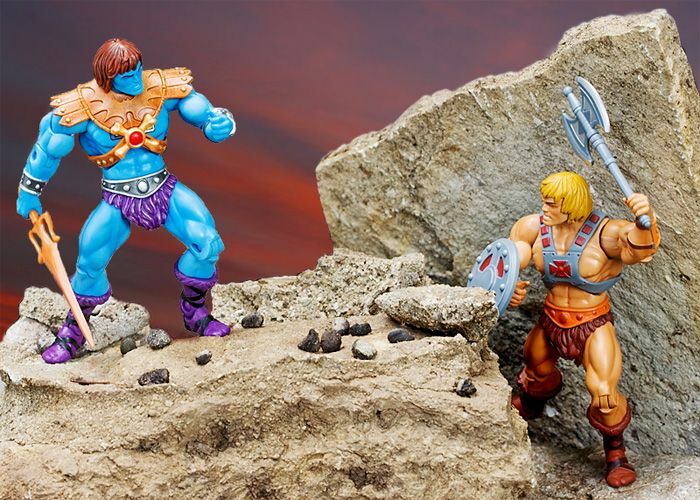 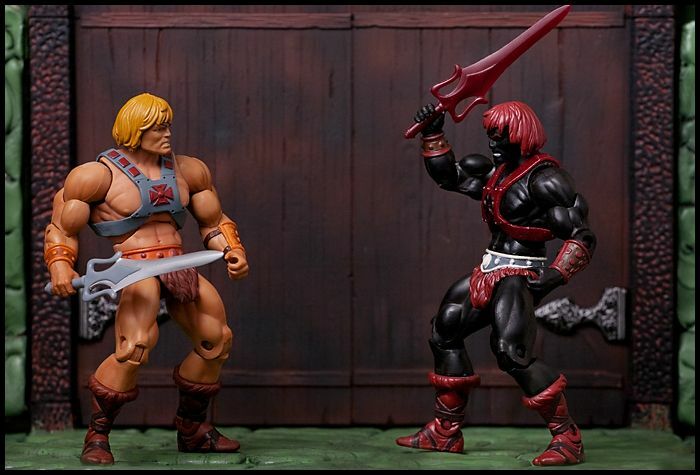 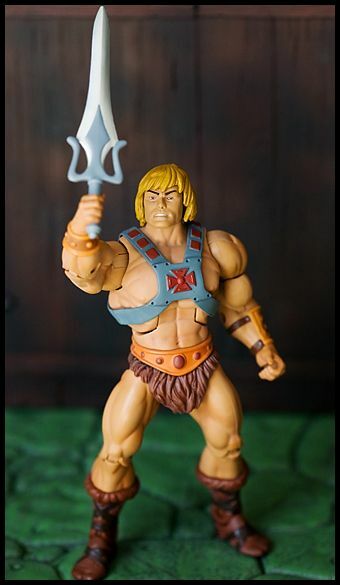 At first, he used a techno vest with a built-in force field to fight evil, but Adam has since learned to combine both halves of the Power Sword, using it to channel the energy of the Elders to become He-Man - The Most Powerful Man in the Universe! 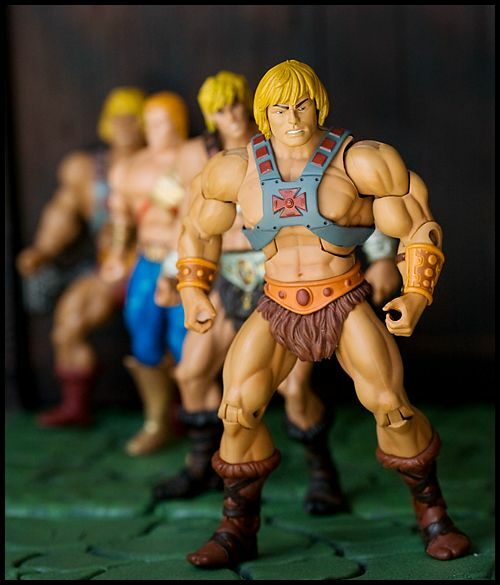 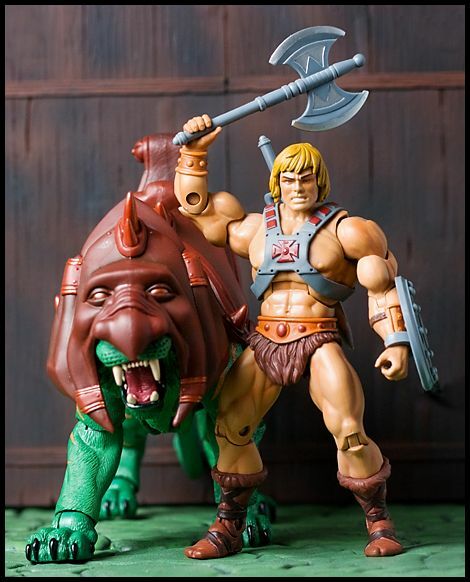 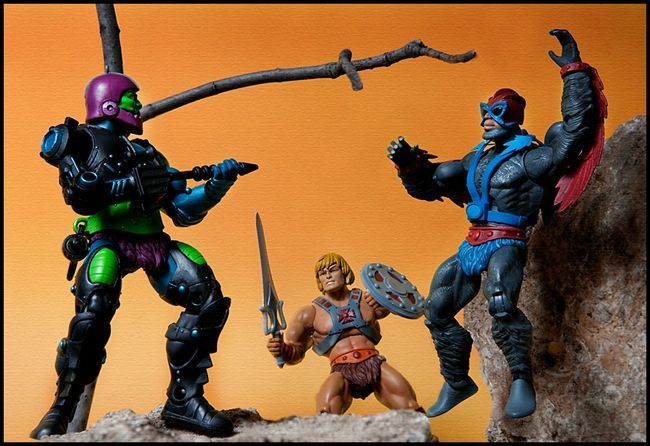 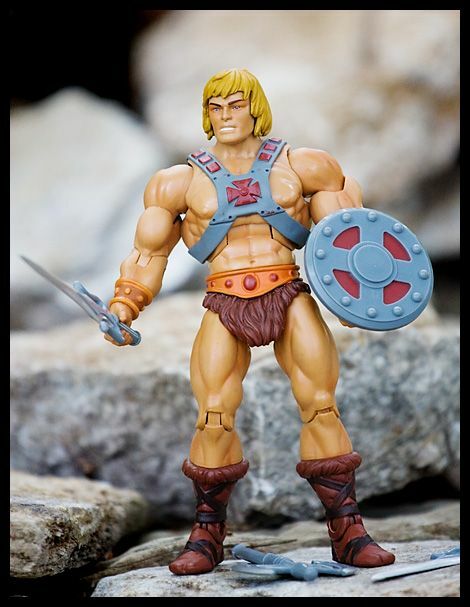 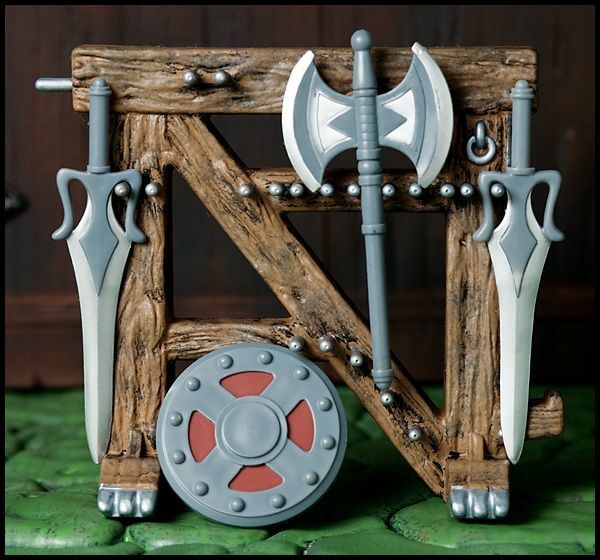 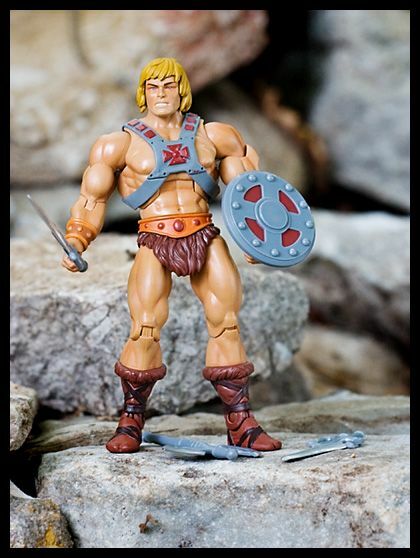 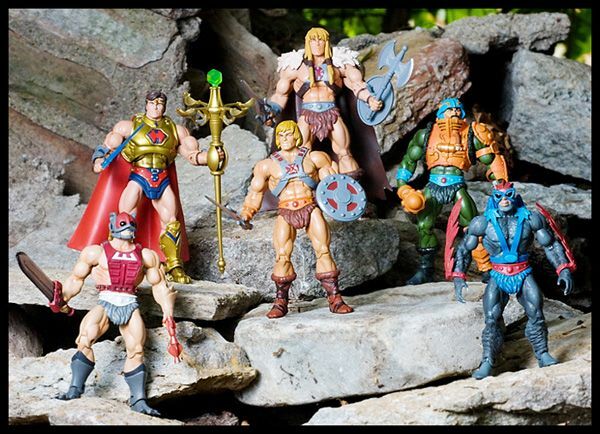 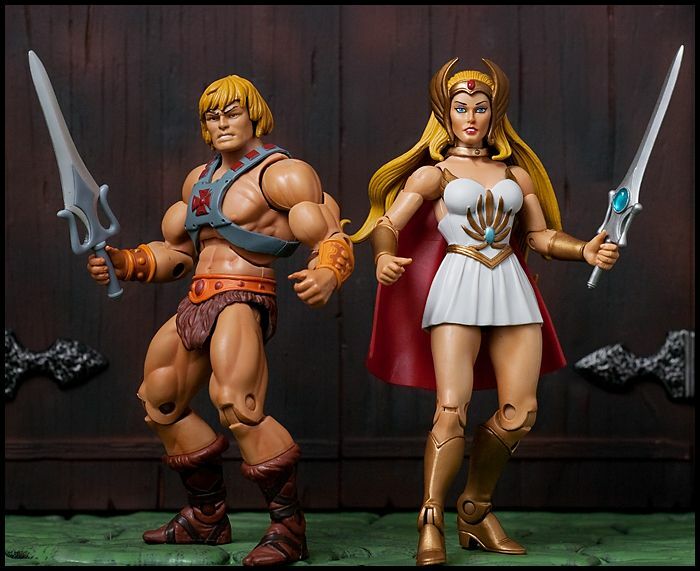 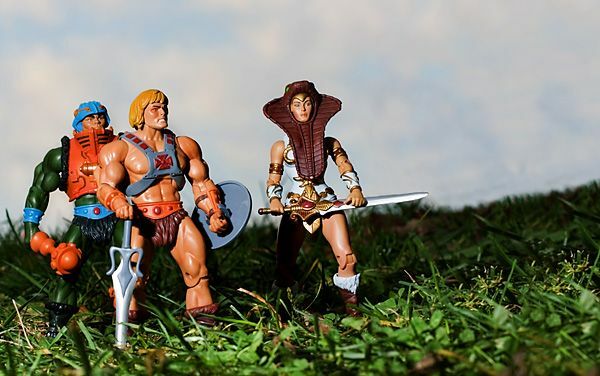 He guards the safety of all Eternia alongside the heroic Masters of the Universe. 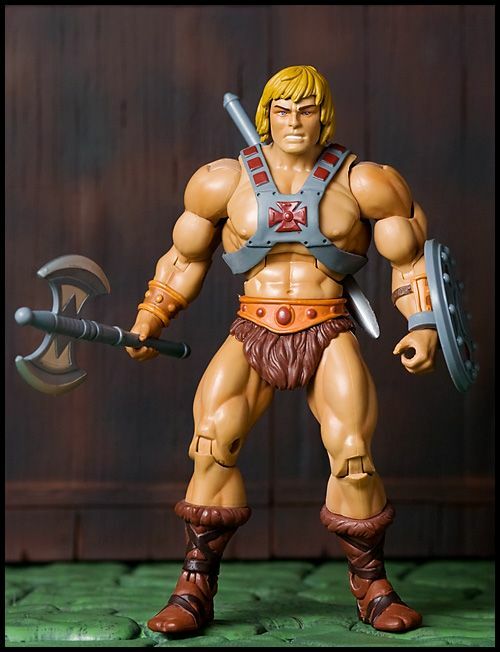 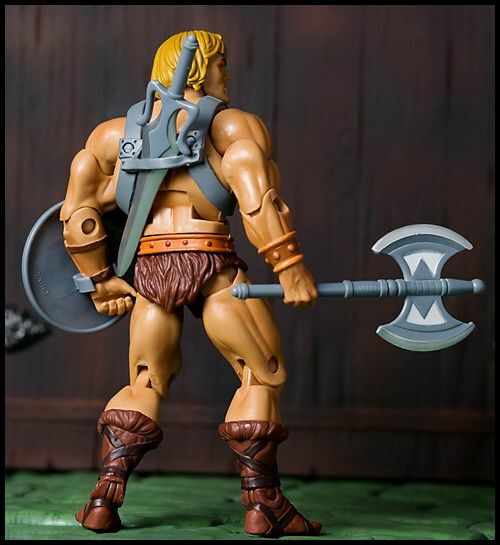 Variations: The reissue version (pictured below) features corrected shoulders, less red around the eye, a less glossy paint job.